Posted by: The SGRC 3 years, 5 months ago on 18/11/15 at 8:42 a.m.
UAVs have rapidly gained popularity for collecting data in agricultural, entertainment, business, environmental, and other applications. These devices collect a wide variety of spatially referenced data that can be collected for smaller projects at fraction of the cost of traditional aerial surveys. Come learn about how different players are using these technologies in the Kootenay region and beyond. 2:15 – 4:00 PM: Presentation Session (more details TBA): (rm S113). Confirmed speakers include Harrier Aerial Surveys, Hummingbird UAV and SkyDrone UAV Services Inc. talking about various aspects of drone data collection. 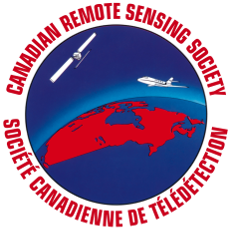 We will also have Ian Parfitt (Selkirk Geospatial Research Centre) talking about recent research projects. 4:15 – 500 PM: Refreshments, social, and Innovation Centre tour (Applied Research and Innovation Centre, Airport). 5:00 PM – onward: West Kootenay GIS Users Group Social at the Lions' Head Pub, Castlegar. For more information and cancellations, contact GIS instructor, Rena Vandenbos at rvandenbos@selkirk.ca (250 365-1279) or Selkirk Geospatial Research Centre Coordinator, Ian Parfitt at iparfitt@selkirk.ca (250-304-6524).